Natural and Artificial Flavors, Citric Acid, Malic Acid, Acesulfame-Potassium, Sucralose, Silicon Dioxide, Calcium Silicate, FD&C Blue No. 1. Natural Flavor, Calcium Silicate, Silicon Dioxide, Acesulfame Potassium, Sucralose. 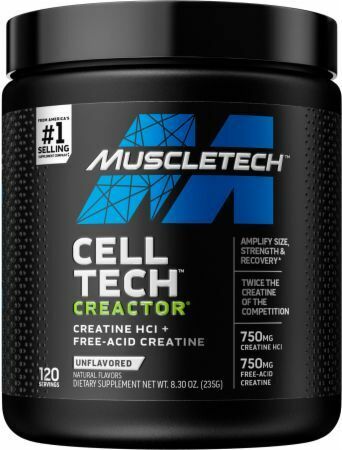 Mar 09, 2015 MuscleTech Creactor – MAXIMUM Strength Creatine! Creactor rapidly enhances your muscle cells’ ability to regenerate Adenosine Triphosphate (ATP). * ATP is your primary source of anaerobic energy, so you can recover faster between sets. During high intensity training, ATP from muscle stores is utilized first. Once this store has been diminished, you need to start generating your own ATP. At high intensities of exercise, this ATP production occurs with the breakdown of phosphocreatine in your muscles. 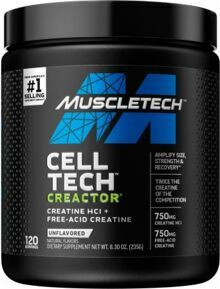 CREACTOR contains a unique combination of free-acid creatine and creatine HCL molecules that maximize levels of phosphocreatine, which then reacts with ADP to form ATP during exercise. Lemon Lime Twist This is a Buy 1 Get 1 FREE offer!